Oxford Instruments is unveiling its 2016 new generation Triton Cryofree® dilution refrigerator at a series of high-profile physics conferences this month. With over 220 systems installed worldwide, Triton is used in world-leading research across condensed matter physics, with a particular focus on advanced computing, quantum technologies, spintronics and optics. The new generation Triton system continues to provide market leading performance and reliability, with enhanced cooling power, ease of use, user access and experimental space. 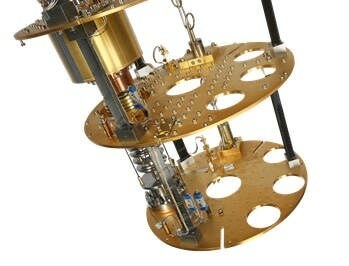 Dilution refrigerators are used by physicists to achieve ultra low temperatures below 10 milliKelvin – that is, within 0.01 ◦C of absolute zero – to observe, understand and control materials and devices at their fundamental limits in order to develop techniques and technologies of the future. 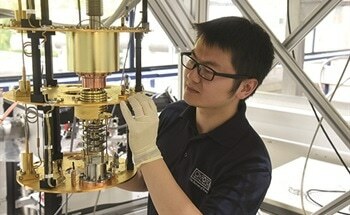 Such ultra low temperature experiments now frequently extend well beyond the sample or device itself, to incorporate signal conditioning such as high frequency qubit read-write control lines, low radiation environments for quantum sensor detection, and ultra low vibration systems for pump-probe experiments. These all create growing demands for space, cooling power and performance, which the new generation Triton has been designed to answer. The new generation Triton system design gives far-reaching benefits. Latest 7th series high cooling power DU7 dilution units give enhanced sample cooling powers of 500 µW at 100 mK and 15 µW at 20 mK as standard, without increased volumes of costly 3He. 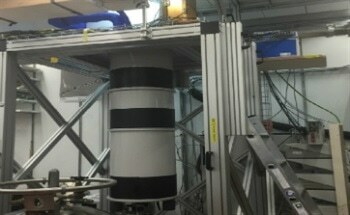 Larger diameter plates at intermediate temperatures and the mixing chamber give greater capacity for wiring, filtering, signal attenuation and other RF signal chain components to be easily accommodated, while a range of larger, heavier and more complex integrated superconducting magnets are also made possible. The new high-rigidity support structure reduces low frequency modes and harmonics within the cryostat to provide ultra low vibration characteristics for sensitive measurement needs. Simplified single-user system assembly and a new system control rack are among the new ergonomic features. Oxford Instruments’ unique offering of both top- and bottom-loading mechanisms for rapid, protected sample exchange while preserving base temperature performance remains a key feature. Oxford Instruments will be present to discuss the new 2016 Triton dilution refrigerator at a number of key physics conferences in March, including the DPG (Regensburg, Germany, 6-11 March), APS (Baltimore, MD, USA, 14-18 March), JPS (Tohoku Gakuin University, Japan, 19-22 March) and JSAP (Tokyo Institute of Technology, Japan, 19-22 March) Spring Meetings. More information on the 2016 new generation Triton can be found at www.oxford-instruments.com/triton2016. The first technology business to be spun out from Oxford University, Oxford Instruments is now a global company and is listed on the London Stock Exchange (OXIG). Its objective is to be the leading provider of new generation tools and systems for the research and industrial sectors with a focus on nanotechnology. 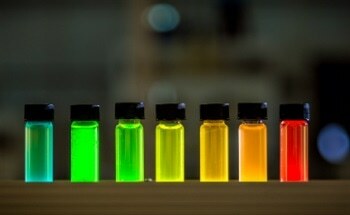 Its key market sectors include nano-fabrication and nano-materials. The company’s strategy is to expand the business into the life sciences arena, where nanotechnology and biotechnology intersect.